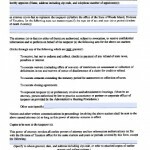 Executing a power of attorney authorizes another person, called an attorney in fact or agent, to act on your behalf. The person the agent acts for is called the principal. 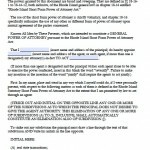 This document is important because it allows your affairs to function as you wish for them to if you are not available or competent to oversee them. 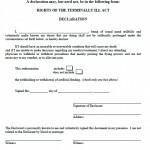 If you do not execute this document, your family must petition a court to appoint a guardian to oversee your affairs. This is a tiresome process, and your guardian will not necessarily manage your business according to how you would have. It is critical to choose an agent you trust completely because the agent may have a lot of power over your finances or healthcare. Generally, people choose their spouse, close relative or friend, or their attorney. 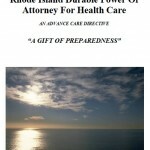 Unlike many other forms, Rhode Island’s statutory power of attorney forms begin with an important notice to the principal that the form grants broad, sweeping powers, and some forms direct the reader to the law describing these powers.